So you just invested in a Cricut machine and you think you have to spend even more to actually make anything. Think again. 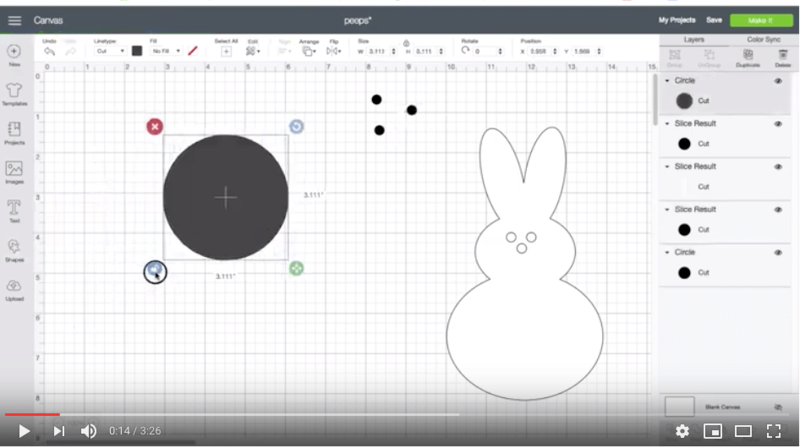 I’ll show you what you can make for free in Cricut Design Space using only the basic shapes. Make adorable Easter shirts for your kids. It’s possible to make a ton of cute images just using the basic shapes available for free in Cricut Design Space. I’ll show you how to use the basic shapes along with the slice and weld features to make cute images all for free! You don’t need to spend a ton of money buying images in order to make some cute crafts. 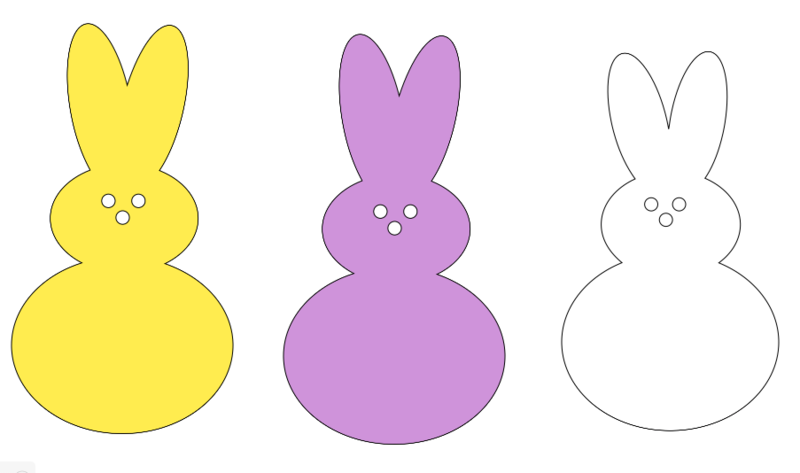 The Peeps design above is made using only circles. Check out my video to learn how to make them. Unlocking shapes is the key to making a seemingly endless variety of designs. Unlocking the shape is the key to variety. Slice and weld functions at the lower right of the Design Space screen are also invaluable tools. Remember it is only possible to slice through two layers at a time. Don’t become frustrated if you select an image and try to select slice and the slice feature is not available. Most likely the image you have selected has mutliply layers. You can hide a layer in the column on the right by clicking on the eye icon, after slicing through the image you can unselect the eye and the previously hidden layer will reappear. 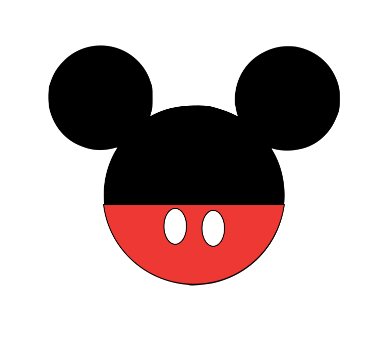 Design Space has a lot of adorable Disney images, but I’m going to show you how to make a bit of Disney for free. 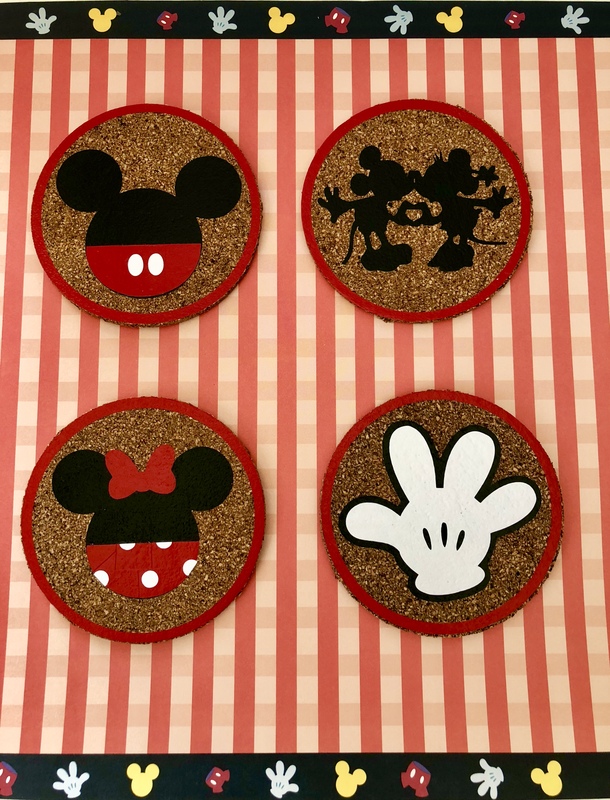 You can check out my prior post where I made these adorable Disney coasters. So, now you see how versatile circles are, but they aren’t the only useful shape. 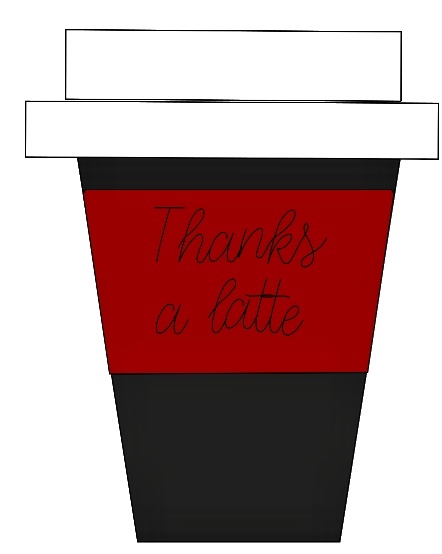 Use pentagons and squares to make a cute Starbucks-inspired latte cup. Make a perfect gift card holder. This makes a cute card. I have also seen these Starbucks-type cups used on a variety of shirts. Check out the video tutorial here. I’ll also show you how to change the spacing in fonts and attach the writing to the image so your Cricut will write the words on the paper. Hopefully, this has inspired you to play around with the shapes in Design Space. You will be surprised and what you can create simply by manipulating a few basic shapes.